Heading into this weekend’s Iowa Corn 300 at Iowa Speedway, Helio Castroneves finds himself in an all too familiar position – second in the Verizon IndyCar Series championship standings. Castroneves is in the middle of a Team Penske sandwich, as Simon Pagenaud has a commanding lead in the standings and Will Power trails Castroneves by just seven points. While Pagenaud has three victories this season and Power has two, Castroneves has two podium finishes but has yet to visit victory lane. The Sao Paulo, Brazil native has finished in the runner-up spot of the championship standings in 2008, 2013 and 2014. “The season has been great, but to win the championship we have to win a race. Man, I want to get the championship as bad as anybody. We’ve been so close so many times,” Castroneves told Rubbings Racing this week. “You can’t be frustrated. You just have to keep doing your job and that win one day is going to show up. We want to keep pushing as hard as we can. 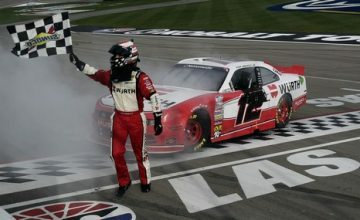 Castroneves and Team Penske will look to put an end to the dominance of Andretti Autosport this weekend at Iowa Speedway. 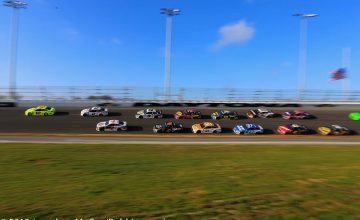 The Andretti organization has won seven of the previous nine races at the 7/8-mile track dubbed “The Fastest Short Track on the Planet,” including the last six in a row. While Castroneves has led laps in seven of the nine races at Iowa and has two Verizon P1 Awards, he’s winless with just one podium finish. Castroneves also holds the one-lap qualifying record, set in July 2014, with a blistering lap at 186.809 mph. 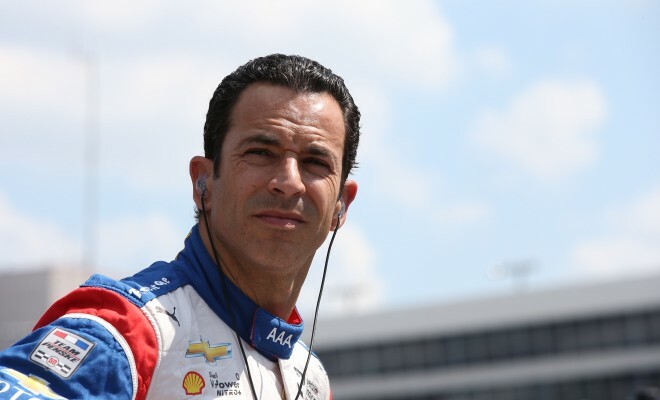 Castroneves is one of just four drivers to have competed in every Verizon IndyCar Series race at Iowa and this weekend will make his 321st career start, which will break a tie with Al Unser for fourth on the all-time list. All the more impressive, this season marks Castroneves’ 17th with Team Penske. “Oh man, I can’t thank this team enough… this entire organization,” Castroneves said of what it means to drive for a top team for this many years. “It’s an honor to have not only the best people surround you but to be in the best team in motorsports. So, I definitely feel honored. At the age of 41, Castroneves isn’t thinking about hanging up his helmet any time in the near future.